It's no secret that computer science types are regularly discovering increasingly more impressive creations and contraptions inside Minecraft. The popular sandbox title has a surprisingly in-depth array of tools for crafting complicated machines, so naturally the internet has taken to building absurd things such as functioning computers and calculators. This latest creation was made popular by a recent update, and could only be described as a labour of love. A YouTuber named Reqaug has recently uploaded a video of a GameBoy Advance -- built inside Minecraft -- that's capable of running a barebones version of Pokémon FireRed Version. There's no text and no battle scenes yet, but it's impressive just to see how the game runs within the blocky sandbox. Give it enough time, and somebody's bound to figure out how to get the full game running within Minecraft. Imagine the possibilities. What do you think? Has science gone too far? What do you think somebody will build inside Minecraft next? Drop us a comment in the section below. How? I mean, the calculator one was understandable, but a game withing a game? im actually impress, as odd as this is. This is pretty nuts. How does it even work? Was never really a huge Minecraft player so all these new updates are foreign to me. Is this all in vanilla Minecraft? You can use Skype inside Minecraft and order Dominoes, so why wouldn't I want to play Pokemon inside of Minecraft? Cool but unnecessary. Now if he could remake Pokemon Fire Red with Minecraft, that would be even better. Some of the stuff in Minecraft is soooo over my head, ha. wow, this is truly impressive. Get Dwarf Fortress running and then I'll be impressed. First emulators on any old phone and now this. And yet "emulating GBA games on a 3DS would take too much time from developers working on real current gen titles", if I remember what they said correctly. Virtual console is a joke. It looks like they practically want you to be a pirate if you want to play older games. inb4 The PokéMon Company issues a C&D. @MitchVogel But will the Minecraft Doom port come to the Minecraft Wii U emulator? 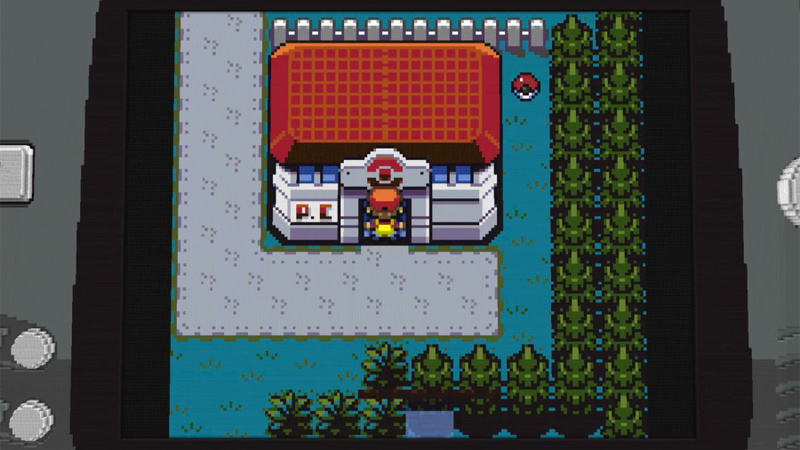 @Piersen Is FireRed on Wii U yet? Or can we actually say that Minecraft has now released a VC game before Nintendo? I'm waiting for someone to build a Minecraft emulator within Minecraft. Redstone GBA emulators sure are great. In all my years of life, I never though I'd say that. @Piersen They probly want to keep GBA games exclusive to Wii U increase the consoles popularity (similar to gameboy/gameboy color games on 3DS). The 3DS is fully capable of playing GBA games via native backwards compatibility and people who bought the 3DS before the price drop got 10 GBA games free. @Luke937 I know the game they're playing, but then they shouldn't claim making VC games is hard. And if I won't buy Wii U for Wii U games I'd like to play, I sure as heck won't buy it to play 10+ years old games. I don't understand how this even works. Did they like replicate the game's code inside Minecraft?